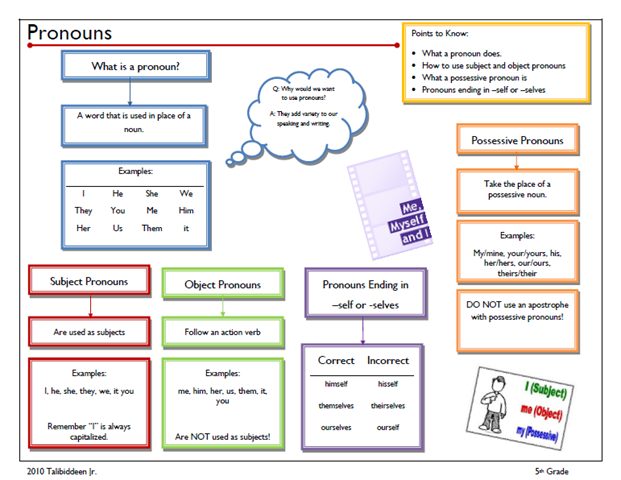 Pronouns Poster – covers definition of a pronoun, subject and object pronouns, pronouns ending in –self/selves, possessive pronouns. (also prepared based upon 5th grade material). 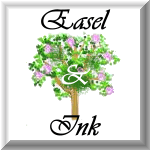 Working on parts of speech? These worksheets feature nouns, verbs, and adjectives—-related to Ramadan and fasting—to be sorted! Obviously a little humor in the picture as we would use “well” in this case. ……. My fifth grader is working on adverbs. He did the lesson himself and didn’t get the full idea behind them, so we stopped to review. I made a notebooking entry for him in his grammar notebook (eventually I’ll have him do the notes, in shaAllah). I’ll share our main points from our entry and then some nice resources I found to accompany our study, in sha Allah. 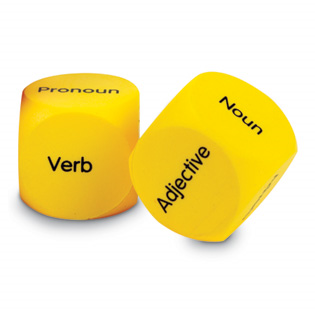 An adverb is a word that tells how, when, and where (and “to what extent” though this final definition is not yet covered at his level) an action occurs. (he was picking out prepositional phrases in his exercises as adverbs, so I put in this information. 1. Look for your verb. 2. Look for the word that tells how, when, or where that action occurred. I think that he really sees the value of notetaking. After we had made the notes (ok, me) He said, “I have an idea.” We should do the notes, then I do the exercises” (so he can use the notes, which is the whole point. so yay, he seems to get it). Lately we have gotten into auto mode with the school work and the kids start off on their own. I am trying to grab back some more structure and work with them because although most of them are great self starters, it is great for us to do the lessons together so I can draw out points they might miss on their own. 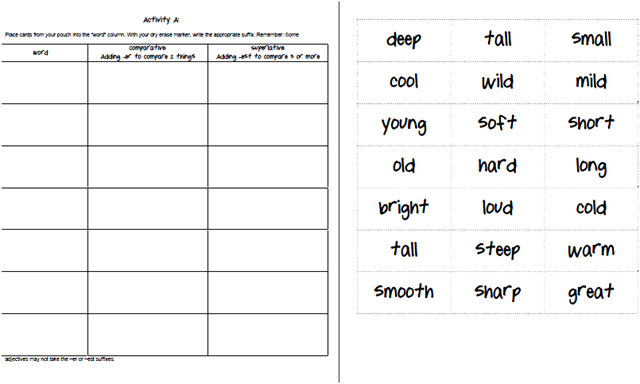 7 nice worksheets on adverbs. I really love this site. Nice, short 4 page powerpoint with a little quiz at the end. I like this one as it gives the definition of an adverb plus examples, but it also has comprehension questions on the concept. I try to ask questions from many angles to make sure they understand the grammar concepts so this fit in line with how I try to teach. Too advanced for my fifth grader, but I love this site for the big kids. So those are just a few of the things I found. These days, I try not to be exhaustive in my searches as they are very time consuming, so I try to find a few that work and go with those. 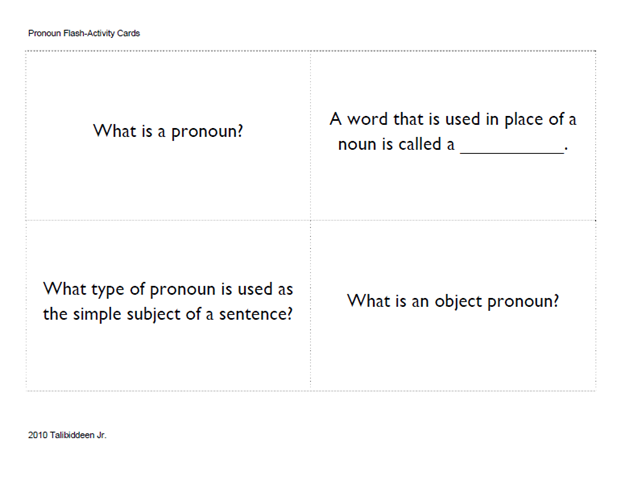 A notes/rules page, and activity (where child makes comparative and superlative forms) with two card sets. We’ve done this activity more informally in the past with spelling words: take a word, such as a verb, and write it as a noun, adjective, etc. Now, I am making it a little more formal by having them make a table (in the past I’d just have them come up with maybe only one or two different parts of speech). 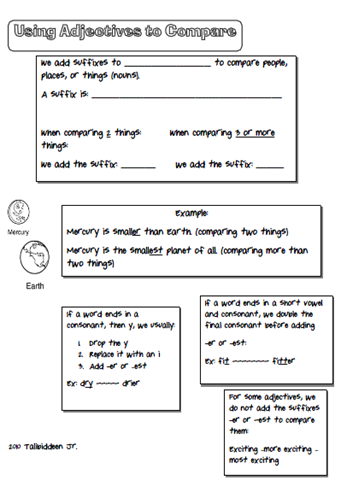 TJ has new printables for learning about interjections: a lesson, 4 worksheets, and a set of review cards. 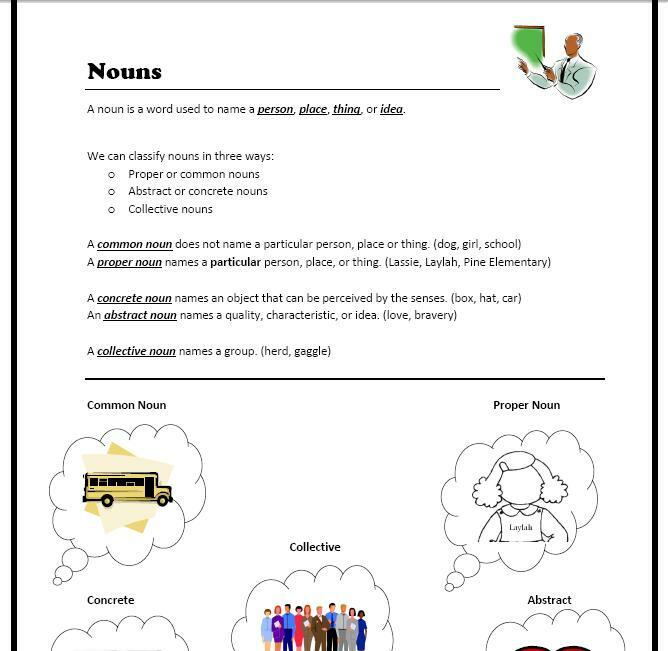 Here are some activities that I put together for noun review. It goes over proper nouns, common nouns, concrete nouns, collective nouns and abstract nouns. 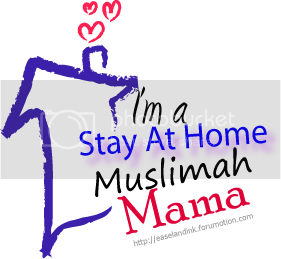 Its probably good for 6th grade and up, insha Allah. Includes an answer key.